You have been blogging for years. You have regularly huge traffic on your blog. More than several visitors comment on your blog posts. They appreciate your work. You have a strong networking with fellow bloggers. You also earn money with your blog. But you earn not as much as you were expecting soon after starting your blog. Right? Don’t worry. This is not the problem of yours only. This is now a problem of every blogger who has been in this field for a few years. This is not because blogging has lost its earning potential. Nor this is because you are wrong somewhere while monetizing your blog. The main problem is blogging monetization has been diversified so broadly. Ok, let us explain it. Now blogging is not limited to Google Adsense or selling affiliates. Nor it is for selling your own products only. Now diversity in monetization is the main rule to increase your blogging income. For this, you need to apply as much workable methods as possible to increase your earning. 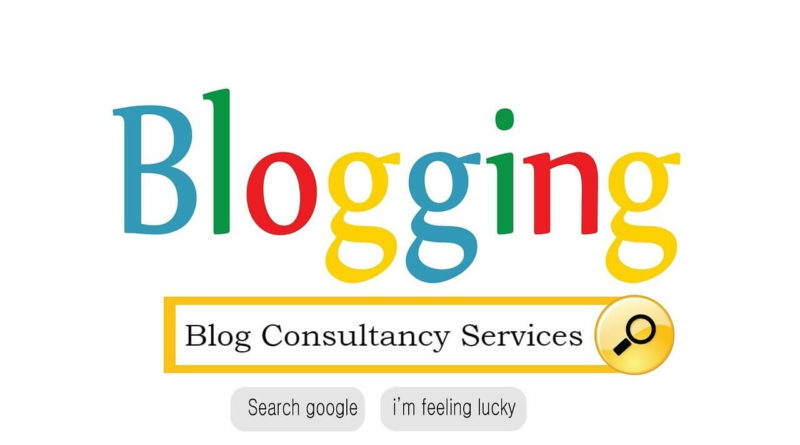 Blog consultancy is relatively a newly introduced but equally lucrative method to earn money more with your blog. Earlier bloggers were earning big money with Adsense and affiliate sales. But after stiffening of competition in blogosphere this option of earning money was also adopted by many. What Is Blog Consultancy Business Development? It means to publicize your consultancy offer. You let others know what you are offering. It is not so easy. Simply one method is not sufficient to boost your blog consultancy business. Many bloggers do a big mistake. They just add a Hire Me page at their blog by offering several services related to blogging and that’s all. This is a passive way to boost your blog consultancy business. It is called inbound marketing. Where a visitor first come at your blog. Then he gets impressed by your blog contents. Then he searches more value in it. And finally finds Hire Me page at the top or below of your blog header. All visitors can not necessarily note where the page of your offering of services is. Many bloggers make their landing page as Hire Me page but here again they just want the arrival of visitors and don’t inform their niche audience by going at their online doorstep. Here online doorstep means the places where niche audience gets together like at social media and discussion forums. Here I will tell you how to go beyond Hire Me or landing page to become a successful blogging consultant. For this purpose, you need to develop your independent business of blog consultancy. You can link one or all your blogs to show your skills but you should not rely simply on your blogs to earn with your blogging skills. Here you need to develop your brand as blog consultant separately. Make a plan to become famous as blogging consultant. Which free resources you have to become famous? Obviously social media, guest post optionsToand forum postings are the three key ways to promote your blog consultancy business for free. So, first of all, write in separate file issues, confusions, queries and small tips related to blogging as much as possible with their solutions in a question-answer format. It is good if you write hundreds of sharable points. Just like businesses print a brochure featuring all their services, an online brochure can also do the same job. Just design or get it designed from a designer to keep sharing it at social media and mailing it to your email list. In the soft copy of brochure fully describe your services and how they are different from your competitors in terms of both pricing and features. Share your blogging questions with regular interval of one or two days at each of your social media account. Ask the questions to all your friends and follows. If a few of them give correct answer, just appreciate them and expand their answer a little to show your expertise. Else give them correct answer and then lead them to your Hire Me page. You can also separately make a Facebook page, Pinterest Board, Google+ Page or Group to boost your blog consultancy business. Write guest posts on different blogging problems with their solutions. If you don’t have any blog on blogging niche even then never forget to write one guest post monthly just to promote your blogging consultancy business. Get backlink for your each guest post directly to your Hire Me page if you don’t have a landing page offering your services. Keep visiting forums related to top blogging niche. Never post questions there. Just search out who is asking what. Check the profile of questioner first. If he is a struggling blogger give an answer to his question in an effective way. Also, invite him to visit your Hire Me page to get further solutions for his blogging problems. Offer your blog consultancy service either for free or on subsidized rates along with a product offer especially of hosting or blog template sale. You can also attach it as a scheme with sale offer of any affiliate blogging product. This is also your potential market. Those who blog on the mainstream niche like health, environment, and relationship usually don’t have much blogging knowledge. Most of them are usually non-techie bloggers. They need blog consultancy services more than techie bloggers. To be a member of social media groups of mainstream bloggers and offer them your blog consultancy services. So never take your blog consultancy business simply an add-on. Take it as independent business and allocate some of your blogging time to promote it regularly. This will add a regular income stream to your blog earnings.